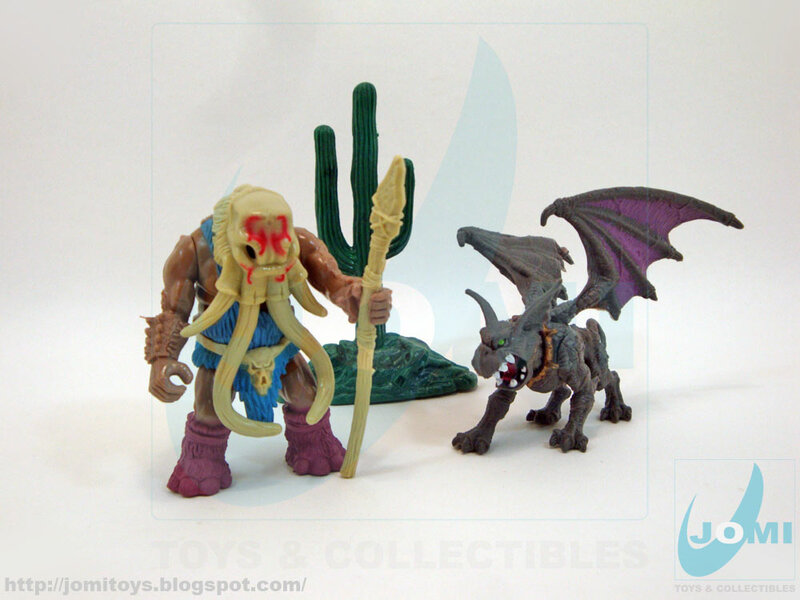 Another great bootleg approach (although very confusing in its various parts). 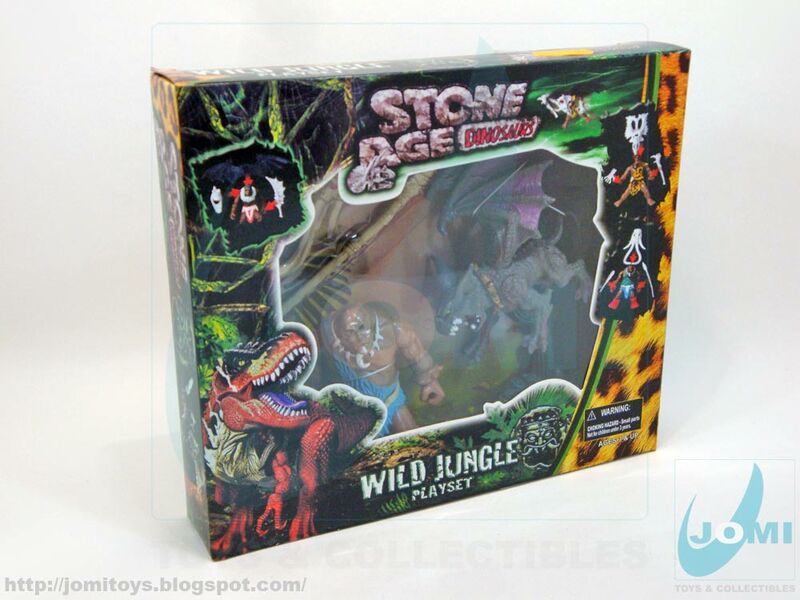 The last of the "unreviewed" stone age men, is set with a peculiar animal! Included items. Total mess! 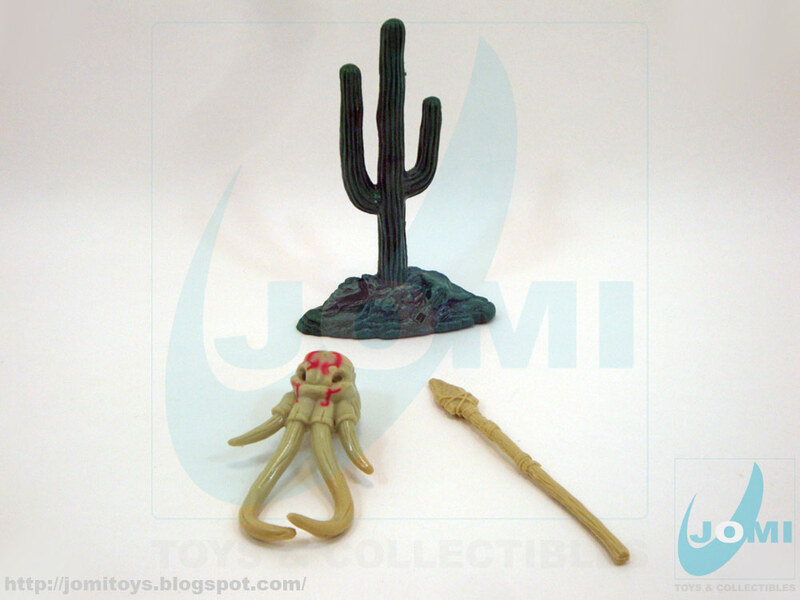 Stone Age Dinosaurs figure, Wild West cactus and Gargoyle (probably from a the Witchcraft line). Included accessories. The mammoth helmet is a blast! And a brilliant copy it is! Figure: Bootleg version of Chap Mei´s Clawcracker. Animal: Stone Age "Gargoylosaurus". It´s a joke, kids! 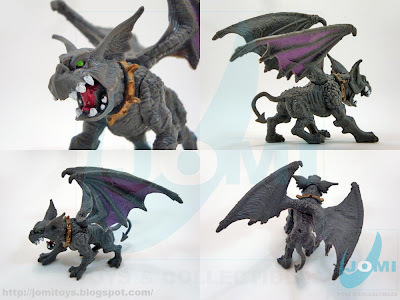 I´m actually glad these guys included this Gargoyle. It is very well sculpted, and almost that well painted. 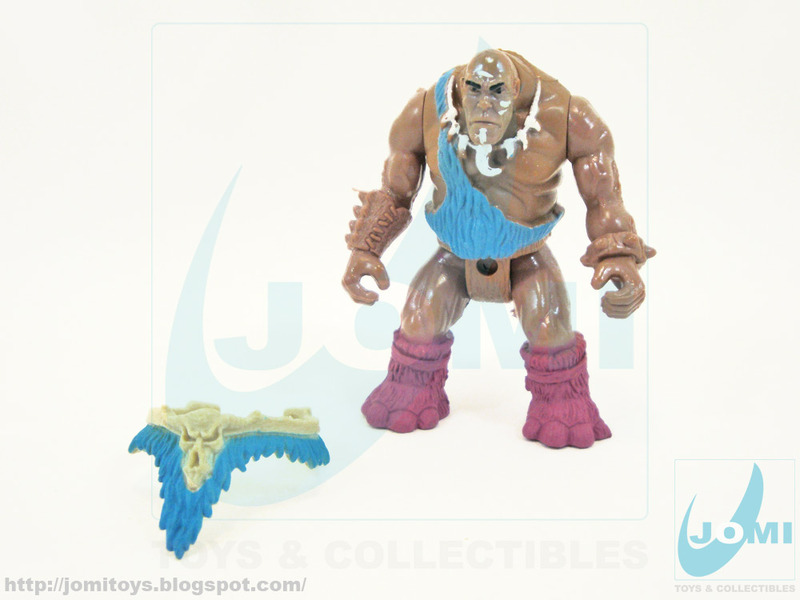 CM Bootlegs are becoming sought-after items, and this is one of the reasons why. Excellent work.